Operation Write Home is hosting a Top 13 of 2013 Bloghop. 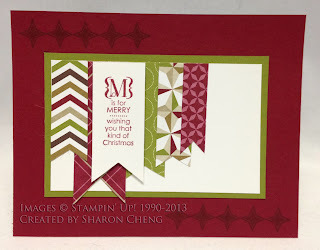 This is a wonderful way to see great cards made by many different people as you join the bloghop. Thank you for stopping by my blog. 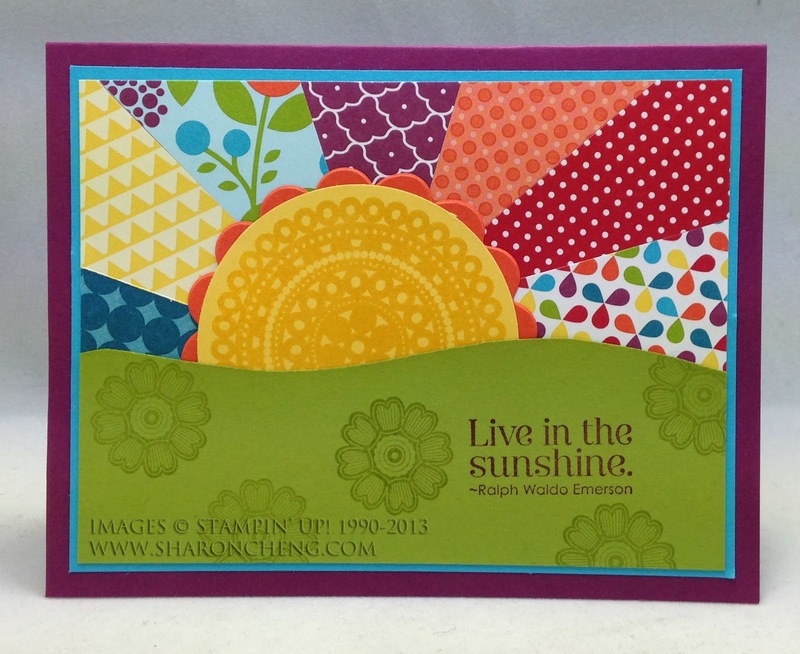 My Live in Sunshine card was by far the most popular card on my blog in 2013 with over 4000 views. I got the starburst technique from OWH. This Poppy card was also inspired by Operation Write Home. I used OWH sketch #68 and included a free tutorial for this faux verdigris technique. 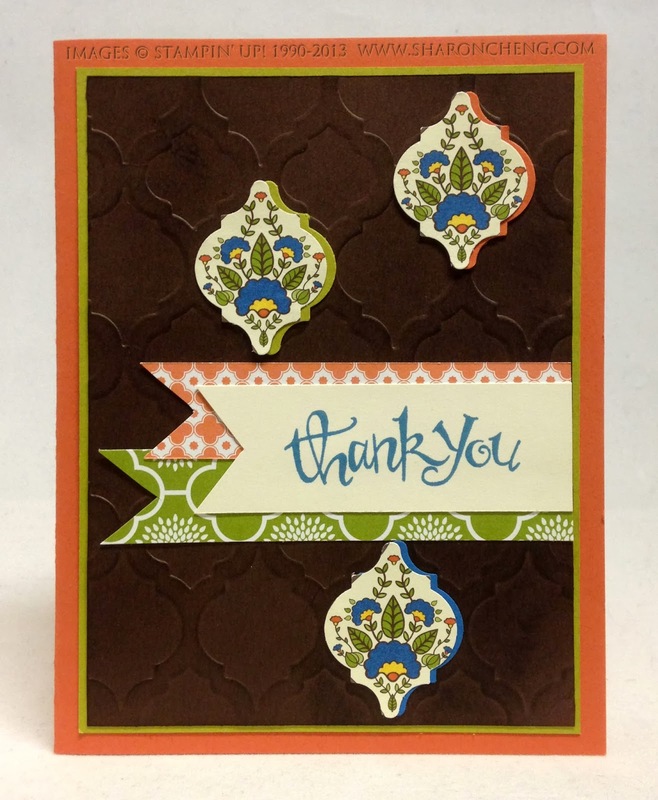 This Summer Silhouettes card was one of my personal favorites from 2013 and the first time I used Washi tape! 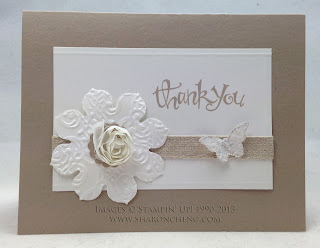 This card using Stampin' Up! 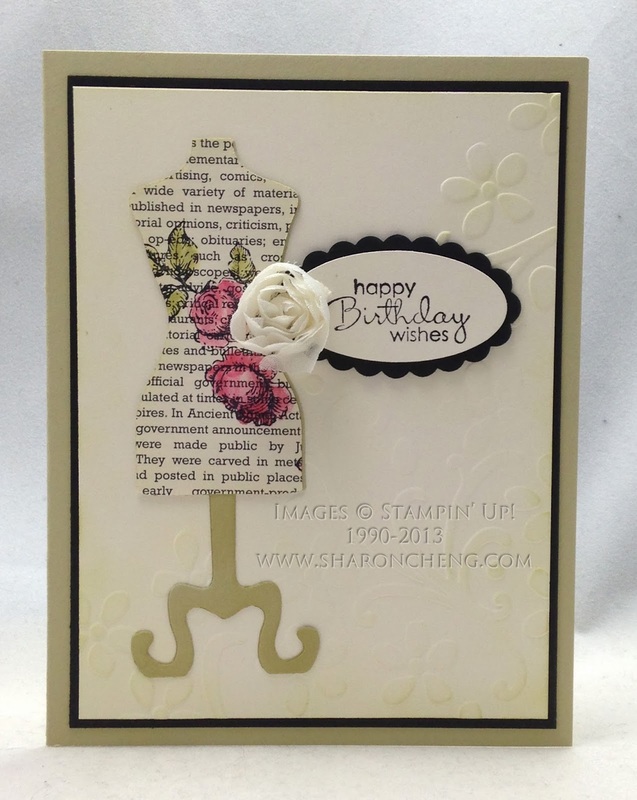 's Dress Up Framelit was inspired by a card that I received in a demonstrator swap. 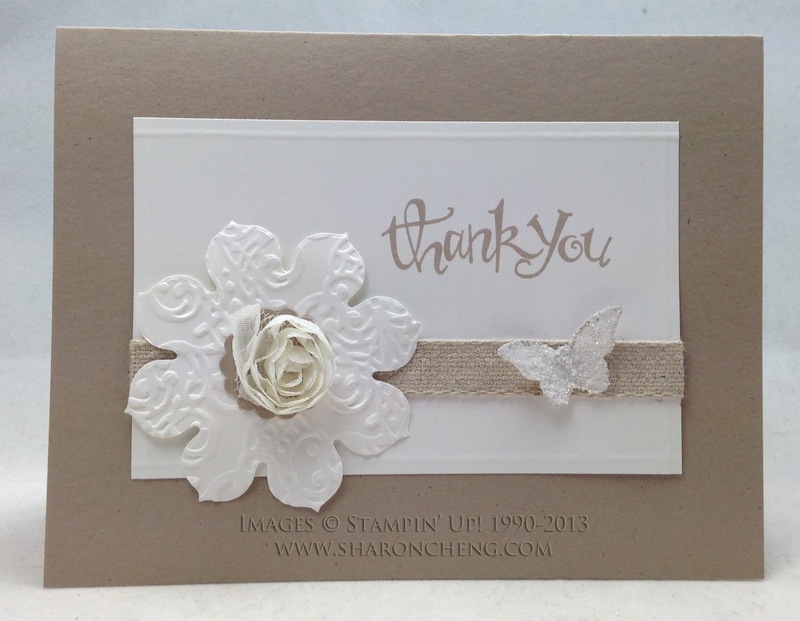 I designed this Quick and Easy card with the Glitter Bitty Butterfly to swap at Stampin' Up! 's convention. This card uses multiple techniques to make it easy to make a lot of them quickly. This Best of Flowers Hydrangea card is a great example of an ugly duckling turning into a swan card. I loved figuring out how to adapt the stamp to make this Ears to You Easter card. While it may not be the most visually stunning card, it was lots of fun to make. I remember putting these Banner Christmas cards together on the flight to Salt Lake City for Stampin' Up! 's Convention! 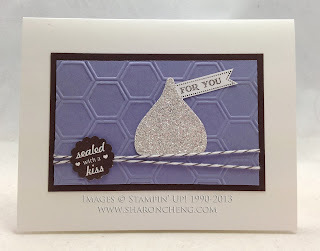 We made hundreds of these Sealed with a Kiss card kits for the Scrapbook Expo in Grapevine and for a service project for the Girl Scouts. 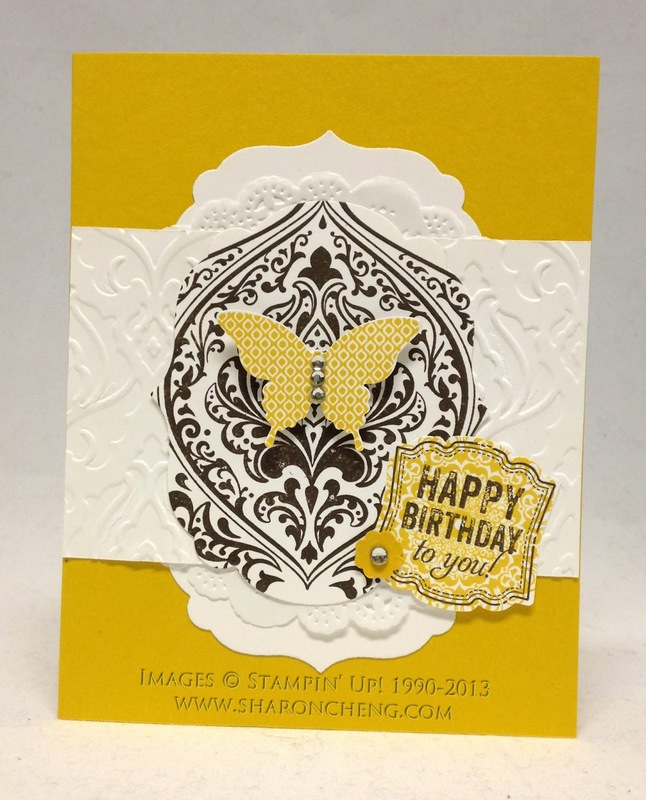 This Beautifully Baroque card was inspired by one that Shelli Gardner made. While it's not my usual color combination, I loved how it looked when it was done. 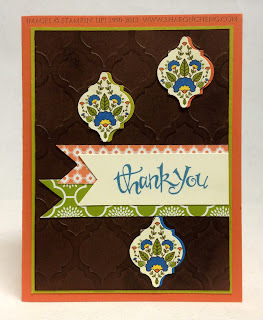 This Modern Mosaic card was easy to make with Stampin' Up! 's coordinating designer series paper and mosaic punch. 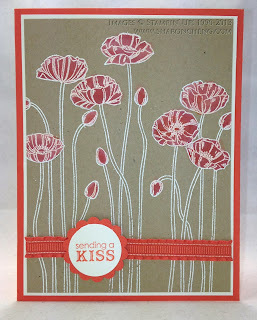 I used the white craft ink technique to make this Pleasant Poppies card. 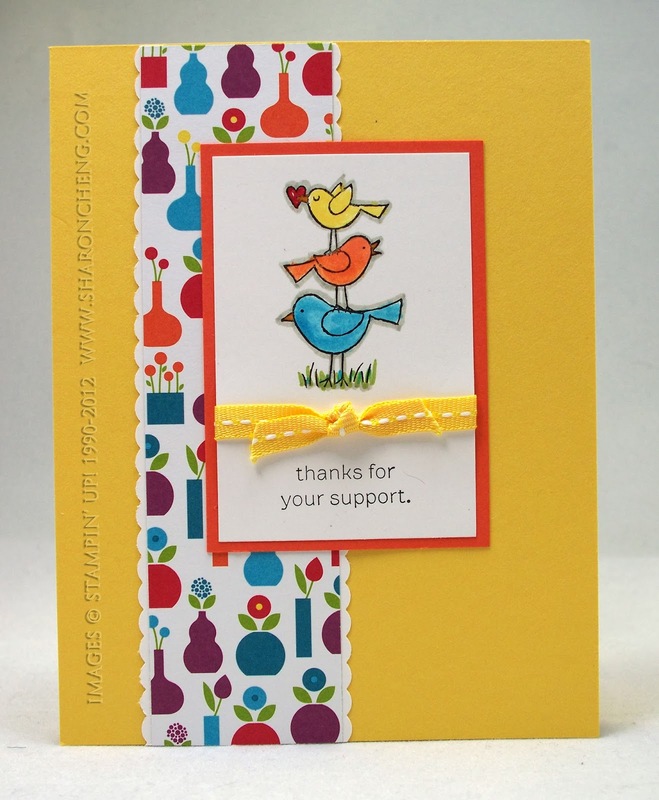 This For the Birds card was one of my personal favorites to make. I like how outlining the birds seem to give them more depths. And those are my Top 13 of 2013. Thank you for visiting my blog and enjoy the rest of the Operation Write Home Bloghop. 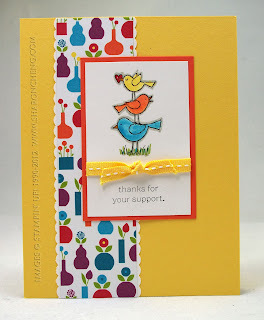 Thanks for playing along today, it's nice to cross paths with other card makers and bloggers who we might otherwise not encounter! Thanks for sharing! 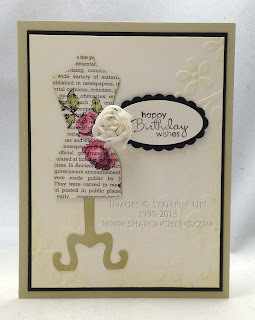 I can see why your first card was so popular..it is so beautiful...nice and cheerful. 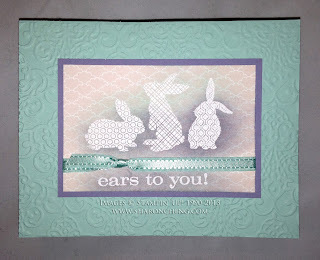 I love the ears to you card...fabulous! You have some beautiful cards here! I love the summer silhouettes card, the colors are so pretty! Such pretty cards.....love them all! All of your top picks are fantastic, sure to bring many smiles =) Wow, that sunburst card !!!! What a fabulous collection of cards! 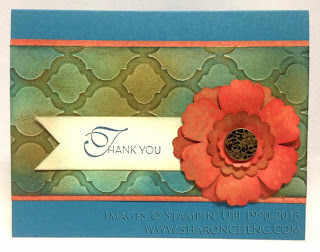 It's easy to see why the sunburst was so popular, but I think the card on which you used washi tape is my favorite. All the best in 2014! Love seeing what my fellow demos create. Wonderful job. TFS. I love the inspiration all of your cards provide! The living in sunshine card looks amazing, and I love the ears to you card! I need to see if I can still buy that fun stamp before it's gone! Happy New Year! 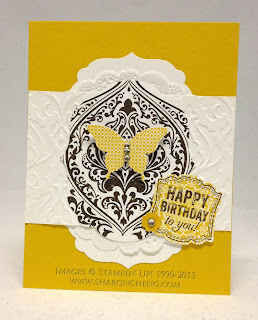 Love your Beautiful Baroque card! A great selection of cards. Happy New Year! Such a gorgeous collection of cards, it's hard to choose a favorite but I am particularly drawn to the Hydrangea and the Starburst card too. best wishes for a wonderful & creative 2014 Sharon! Wonderful cards!! Thanks for sharing your creations and so many wonderful ideas! Happy New Year to you! Your cards are beautiful and unique! So many fun techniques! These are all terrific cards! What a wide variety. I think my fav of these would be the 2nd card, the large poppy because of the colors and technique used. TFS! Happy New Year! Wonderful collection of colorful cards. My favorite has to the the Christmas banners. Such wonderful cards and inspiration. You have a great eye for mixing colors and patterns. The sun card and the flower and washi tape cards are two of my favorites. Here's to a creative new year!